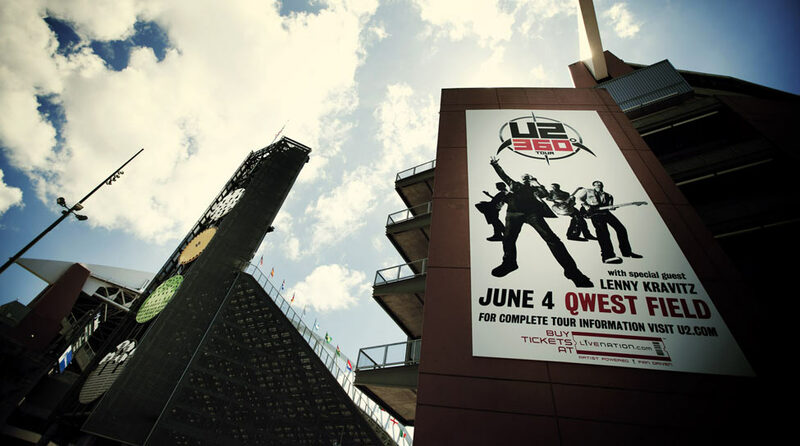 Are you gonna go U2's way? U2 played their set Qwest Field just after Lenny Kravitz played a pretty decent set. He's a dude I'd be keen to see play. Hey Lenny! Come to Wellington! You can stay at my place. I have new curtains. Members of Pearl Jam, R.E.M (hence the song snippet) and Heart are at the show. Also at the show is one of Aung San Suu Kyi's sons - for those that do not know about this remarkable lady, read the link at her name.